I have finally got around to using the leather conditioner this weekend. In my usual style I put tack cleaning off for ages and then do everything in one go! So the new saddle, girth, leathers and my bridle got the full treatment. The conditioner softened well and I find it so much easier to use my hands rather than various brushes and cloths. I have polished the conditioner off this evening (after 24 hours) and all the tack looks lovely and feels very supple, but still strong. There is no tacky sheen, the colours just look richer. I am really pleased with the results. This lady called Sarah who has her own Equestrian business tested my conditioner and was so pleased with it she wants to sell it herself. it's a very good conditioner , it's all natural , handmade and it beats all other conditioners hands down. 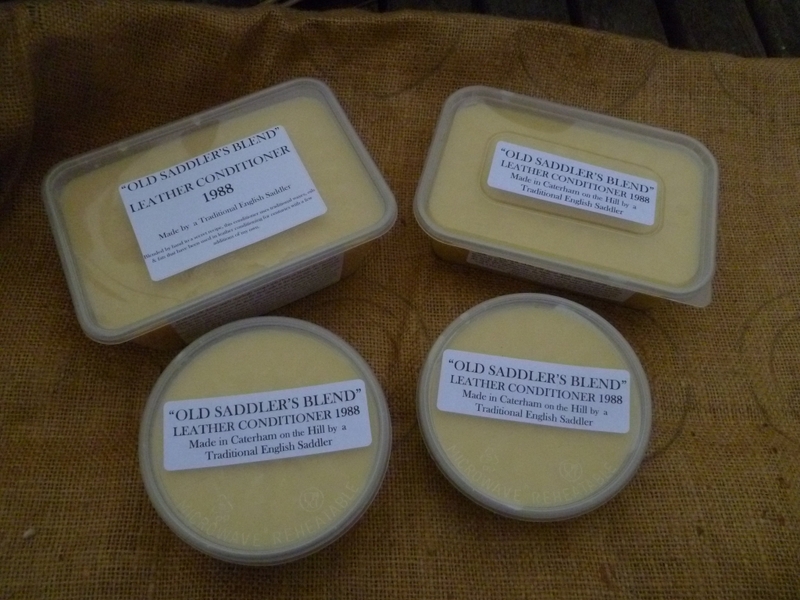 I have tried loads"
Good old fashioned Saddlers Blend Leather Conditioner 1988 uses only natural ingredients found in nature, there are no synthetic or chemical ingredients in it what so ever. 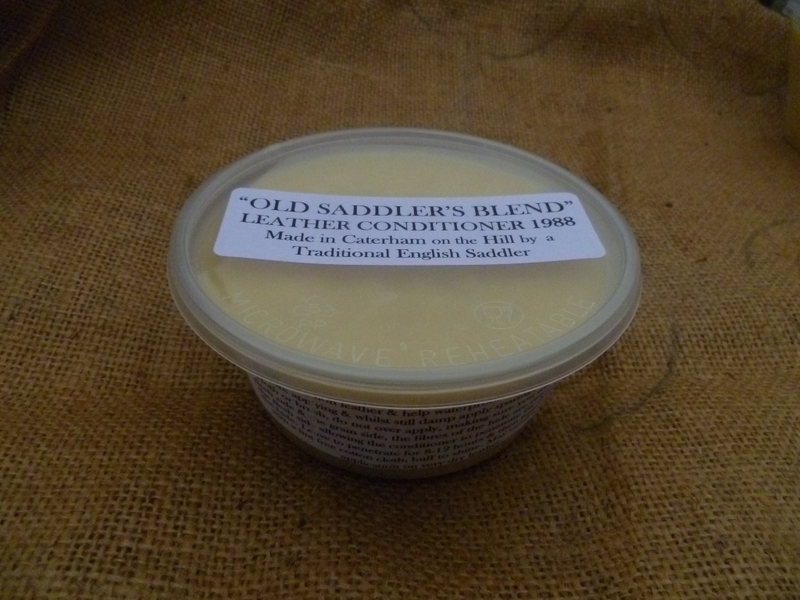 It has been made by me to a secret recipe since I trained as a Traditional Saddler in 1988, blended carefully by hand, then filtered for purity and sealed in a plastic tub.I have 50, 200, 300, 550 and 800 gm tubs available to suit everyone's requirements. 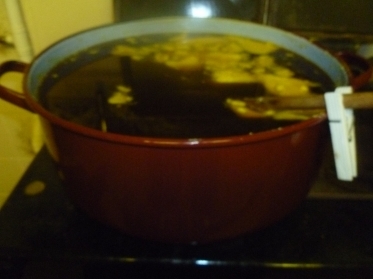 Using my skills and knowledge of my trade I used ingredients produced by animals and plants to make this product back in 1987 finalising on the end product you see today early in 1988 and due to customer requests I started selling it. 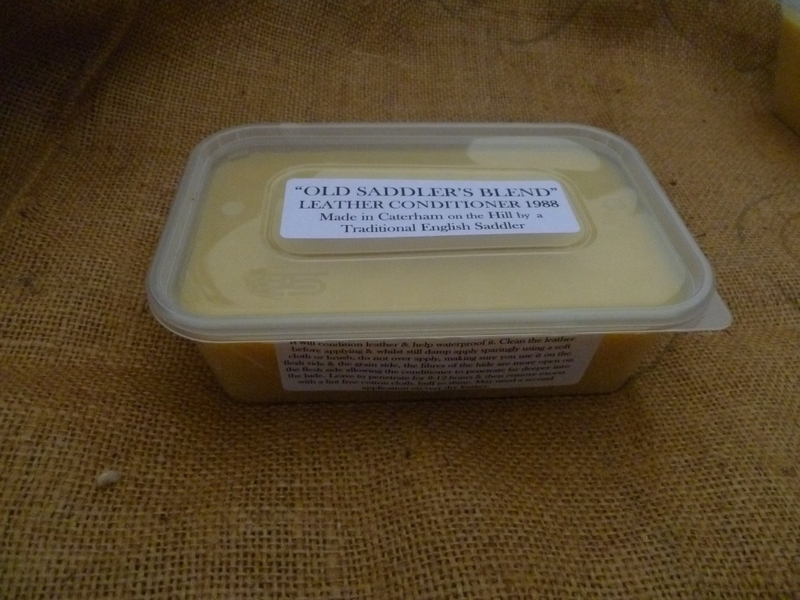 Most of the ingredients have been used by man for thousands of years to soften, preserve and waterproof hide and skins. 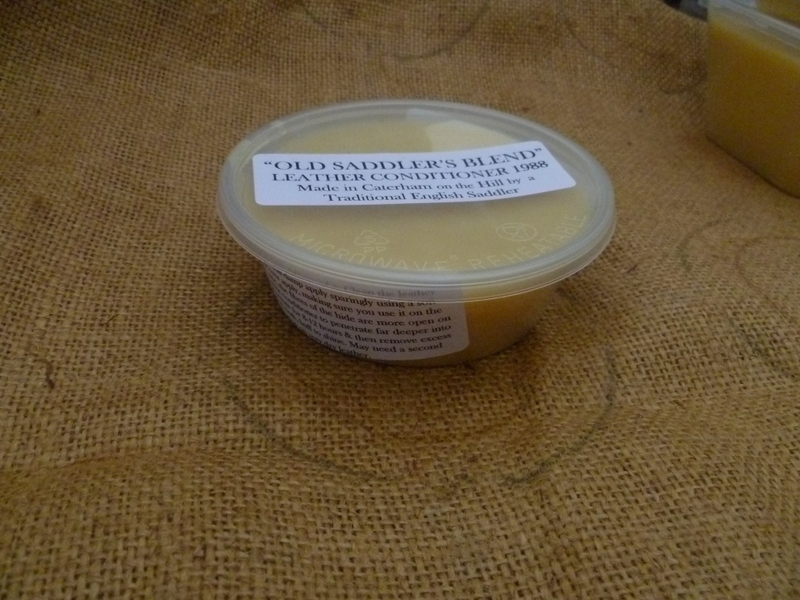 This product can be used as a dubbin type product down seams of shoes and boots to preserve and waterproof them. This product is truly old fashioned and requires a certain amount of hands on effort to achieve the best results, it doesn't contain the chemicals added to commercial products to make them easier to apply which in my experience doesn't always nourish or condition the leather thoroughly or safely. Please note very hard, dry, neglected leather may be too far gone to restore it. 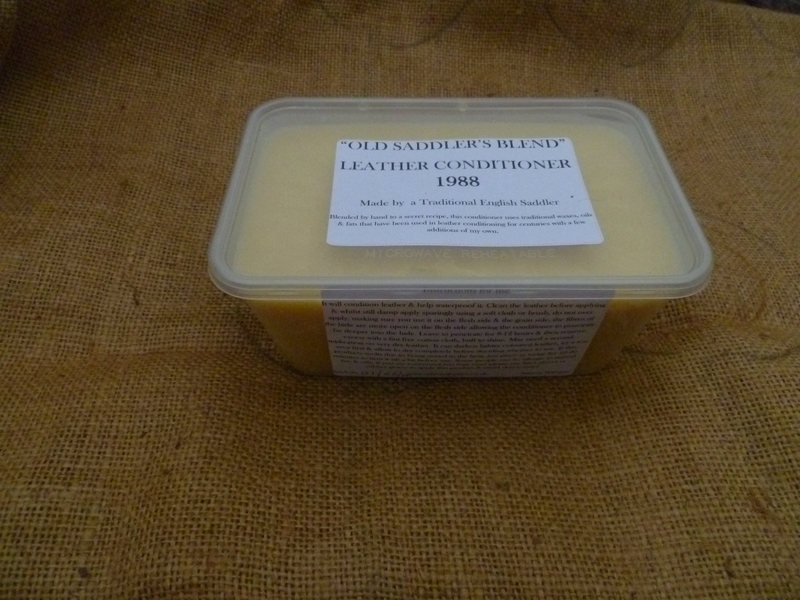 This conditioner is for veg tanned leather, semi veg tanned and some chrome leathers. Using all natural ingredients means the product can vary, colour varies from pale cream/yellow to dark beige/mustard colour. The product can be firm to hard (when it's cold) to very soft (during the Summer months), this is normal due to seasonal changes that can affect the ingredients and the varying geographical locations they come from. I have to manufacture some of the ingredients myself, lots of hard work goes in to this product. I recommend to use just your fingers to apply this product. A true old Horseman's product from days gone by, if you want something that men 200-400 years ago would have been using, this is the real deal.